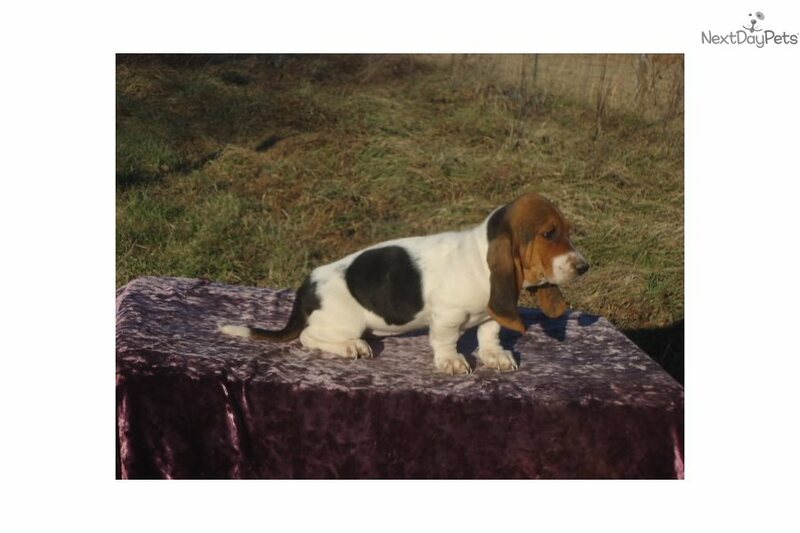 This Basset Hound nicknamed Velma sold and went to a new family. 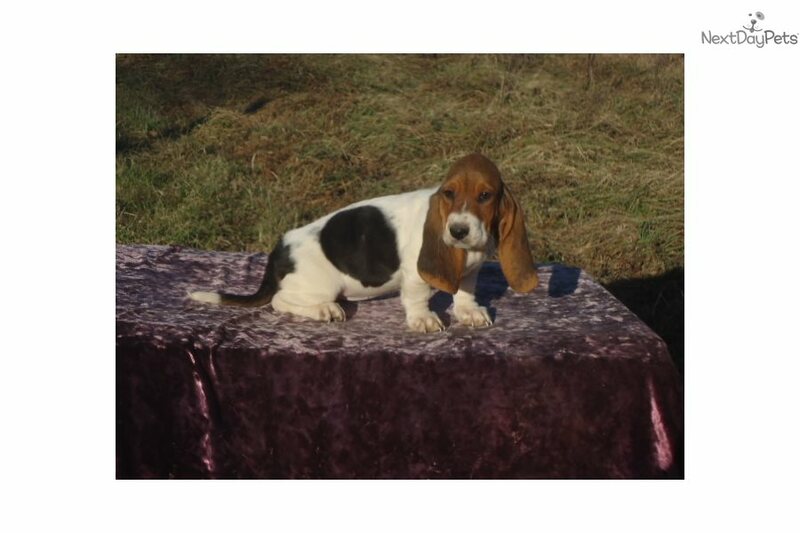 Beautifully marked AKC registered purebred female basset hound puppy with long ears and a sweet personality available as of December 15th. 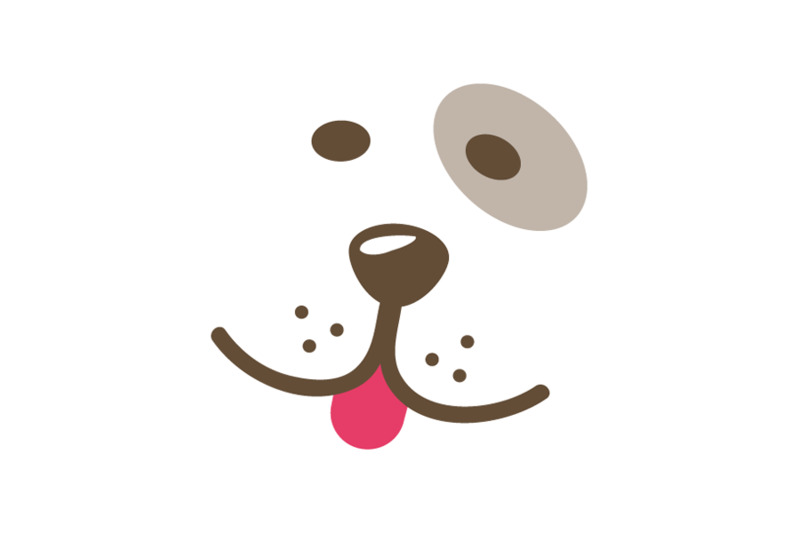 She comes vet checked along with a written health guarantee and is up to date on her vaccines. 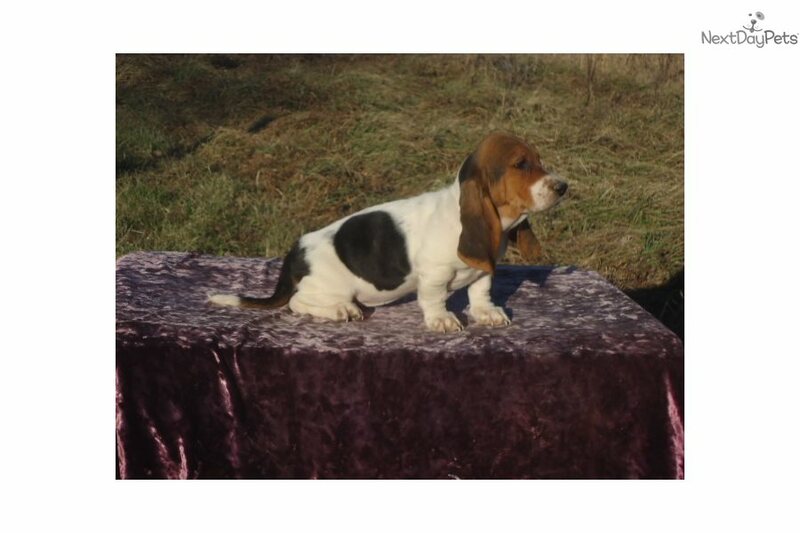 She is a beautiful pup and should be about 50 lbs fully grown. If you are unable to pickup in person we can fly her to your nearest major airport for $250 airfare plus $30 for the travel carrier. Most major forms of payment are accepted. 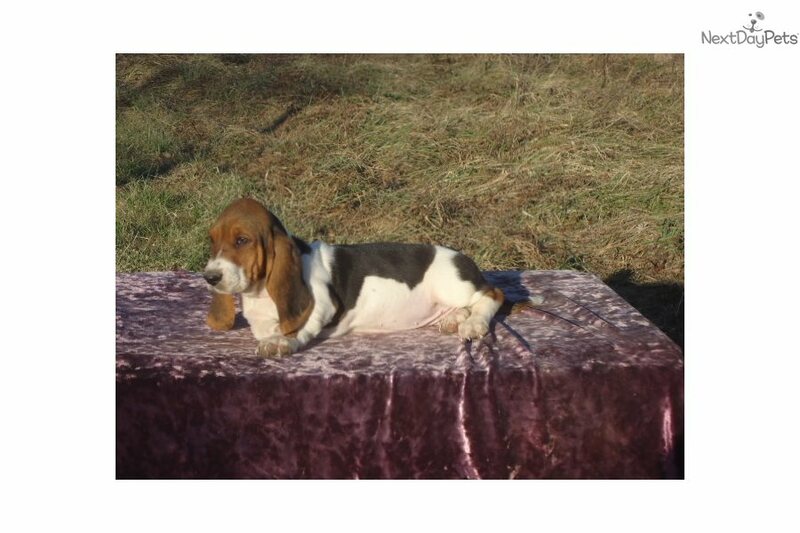 Please email or call with any questions, we have raised bassets at this location for the last 18 years and love to talk about them.